Welcome to the Airborne Engineers Association Scotland's Website. The Airborne Engineers Association AEA was formed in November 1989. The "Association" is open to all personnel who have served, or are still serving, on the strength of any Airborne Engineer Unit. This also includes parachute trained Royal Engineers who have served, or at present serving with any unit, Regular/TA, which has in its order of battle a parachuting capability. Any person who in the opinion of the committee has rendered special service to the Airborne Engineers. To date the "Association" has a membership totalling 1132. The "Association" membership spans the globe, i.e., Australia, America, Canada, New Zealand, United Arab Emirates, South Africa, Falklands, Spain, France, Germany, Isle Of Man, Channel Islands and other faraway places besides our growing numbers at home. There are 6 branches, namely, Aldershot, Birmingham, Chatham, Yorkshire, Airborne Engineers Association Scotland and 299 Association. 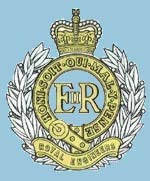 To promote and maintain contact between and with former and current members of airborne units of the Corps of Royal Engineers, to foster mutual friendship and support. To promote and maintain friendly contact between all members of the AEA and all members of the Royal Engineers Association (REA). To provide a focus for social and other gatherings of members of the Association. To provide assistance to members of the AEA who require access to welfare or benevolence. 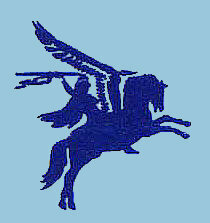 To preserve the memory and traditions of airborne units of the Corps. A Shop is in operation for the benefit of the membership, selling ties, badges, books, jumpers, sweatshirts, wall shields, cuff-links, belts, baseball caps etc. 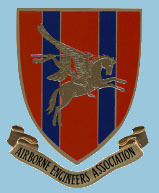 The Airborne Engineers Scotland, formerly Edinburgh Branch, was formed in 1998 with the Inaugural Meeting taking place on 20 September 1998 when 9 members attended. The branch has now 28 members who, although mainly reside in close proximity to Edinburgh and Glasgow, are spread the length and breadth of Scotland. We also act as a 'mother branch' to several members in England, Australia, Thailand and Canada. Our Branch members, past and present, have served in various units, including 4 Parachute Squadron R.E., 9 Independent Parachute Squadron R.E., 131 Parachute Engineer Regiment, and 131 Independent Parachute Squadron R.E. Meetings take place at 1300 hrs. on the third Sunday of every second month from January, within The Royal British Legion, Central Branch, Rodney Street, Edinburgh. Please come and join us at one of our meetings, you will be made very welcome. To join the AEA : Membership Application Form PDF. The photographs published on this site were supplied courtesy of the following:- Douglas Archibald, Norman Bishop, Alistair Burnett, Don Doherty, John H Donaldson, John Donaldson, Capt.Olaf Dudley 131 Cdo. Sqn. R.E., Ronnie Drummond, James Dunn, Andy Gemmell, Bill Grant, Ronnie Meldrum, Dave Henderson, Mark Holbrook (former WO2 The Parachute Regiment), Mike Holdsworth, Roy Kay, Arthur Kelly, Lt. Col. Rtd. John Lee, Albert Lesslie, Peter Long, James Lowder, Ronald McCartan, Brian McKean, Gordon McLeod, Craig McQuade, George Morrison, Andy Mullen, Major Ingram Murray (former O.C. 131 Indep. Para Sqn. R.E. ), Vic Murray, Eoghann maclachlainn, Frank Murray, Robin Naden, Gilbert Nicol, Mark Owens (Poppy Scotland), Kim Panton, Andrew Paterson, Colin Reid, Dave Rutter, Tony Sanders, Ex 24 Fld. Sqn. RE., Ian Scott, Rod Smith, Tom Turner, Major Robin Ward (former OC 300 Para. Sqn. RE. ), Steve Rogers The War Graves Photographic Project, Eric Whitla, former member of 24 Fld. Sqn. R.E., Kenny Wratten.